Dr Nicola Ward is an Australian trained orthopaedic surgeon with extensive surgical experience. She completed her medical degree at Otago University in New Zealand in 2000 and undertook basic surgical training in Queensland. She was then selected for the Queensland Orthopaedic Training Program in 2007, completing her training in 2010 and gaining fellowship of the Royal Australasian College of Surgeons in January 2011. Dr Ward spent one year undertaking a hip and knee arthroplasty (replacement) fellowship at Musgrave Park Hospital in Belfast, Northern Ireland. Musgrave Park Hospital has a reputation for excellence in specialist orthopaedic and rehabilitation services. During this time, Dr Ward worked under the supervision of Professor David Beverland, a world-renowned orthopaedic surgeon. Dr Ward spent a further year of orthopaedic fellowship training focusing on pelvis and acetabular trauma and revision hip arthroplasty at Frenchay and Southmead Hospitals in Bristol, England. As well as providing private orthopaedic surgical services at the Mater Private Hospital Brisbane, Dr Ward is the Deputy Director of Orthopaedics at Princess Alexandra Hospital. Dr Ward is very involved in the Queensland Orthopaedic Community. She is currently the Treasurer of the Queensland Branch of the Australian Orthopaedic Association. Dr Ward became a fellow of the Australian Orthopaedic Association in July 2014. 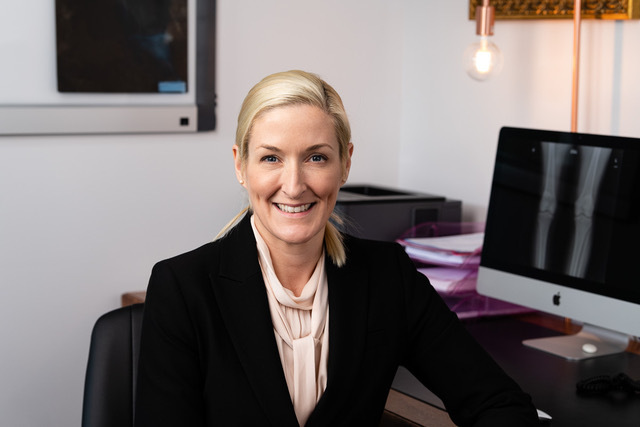 She is also a member of the Australian Medical Association Queensland, an international affiliate of the American Academy of Orthopaedic Surgeons, a Senior Lecturer at the University of Queensland and a member of the Academy of Surgical Educators.